On National Coffee Day we celebrate the important role coffee plays as a vital part of our daily lives. 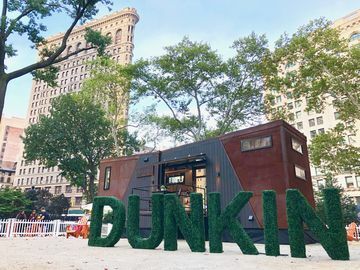 While many of us – myself included – cannot imagine a morning without a freshly brewed cup of Dunkin’ Donuts Coffee, have you ever wondered where coffee comes from? It’s a fascinating process with countless steps that is much like creating a fine wine. As part of my job, I have opportunities to travel with our coffee experts to coffee origin countries and see this process firsthand. To provide Dunkin’ Donuts fans with a behind the scenes look at the tree to cup process, here are highlights from my recent tour of a coffee farm and coffee mill in Brazil. 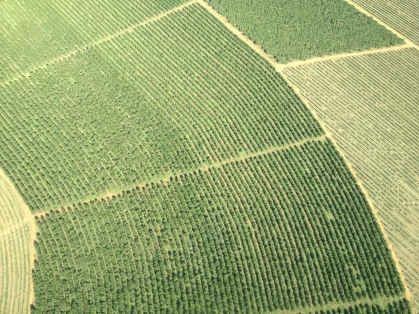 An aerial photo of the coffee farm we visited. Dunkin’ Donuts sources its coffee from a number of countries in Central and South America. Though I can’t reveal exactly which countries, Dunkin’ Donuts works closely with the coffee farmers and professionals in those countries to select the highest quality, 100% Arabica beans available. We have a coffee excellence team that has implemented strict Dunkin' Donuts Quality (DDQ) specifications, which is used throughout the entire tree to cup process. While on the farm, I saw firsthand both examples of how coffee cherry is harvested – handpicking and mechanical harvesting. You might not know this, but coffee beans are not actually beans – they’re seeds of coffee cherry that grow on coffee trees. When harvesting coffee cherry, handpicking is still one of the most popular methods, and an experienced picker can pick as many as 200 pounds of cherry in a single day. Some countries like Brazil also use mechanical harvesting, which is more common on farms that have flatter terrain and a high volume. See the photo below as I watched mechanical harvesting in process. 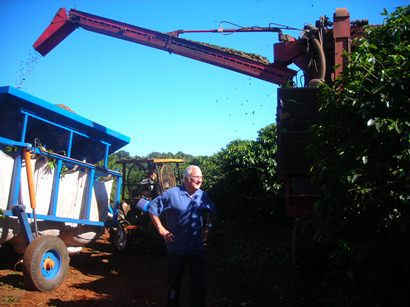 An example of mechanical harvesting on a coffee farm in Brazil. 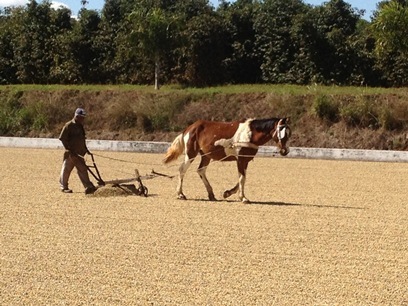 An example of wet-processed coffee parchment being raked as it dries in the sun. Once coffee is harvested, the coffee cherry must be processed to procure the actual bean inside. There are two ways that this process can occur – either through a wet process or a dry process. During this trip, I was able to see both examples. For naturally processed, or “dry” processed coffee, it is harvested, then dried in the sun as a whole coffee cherry and then separated, hulled and sorted at the dry mill. For the washed “wet” process, the fruit is first separated from the seeds (pulping), then fermentation occurs within 24-36 hours in a tank filled with water. Following, the beans are either dried in the sun or in drying machines. The end product results in coffee beans encased in a layer of parchment, which is essentially a protective outer shell. At this stage, the beans are a golden color, as seen in the above photo. After either process, the coffee goes to a dry mill. At this stage, the outer parchment shell is removed and the beans are sorted by grade, which is determined by factors such as density, size, color, and defects. At this stage, the beans are known as green coffee, because they have not been roasted and acquired the mocha-colored hue Dunkin’ Donuts guests are used to seeing. Then, the beans are put into coffee sacks which can weigh as much as 165+ pounds. 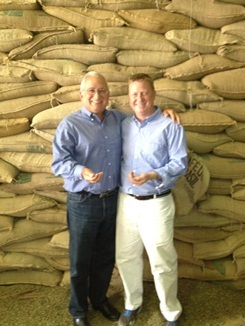 I’m joined here at the dry mill with Scott Murphy, Vice President, Dunkin’ Donuts Global Supply Chain. 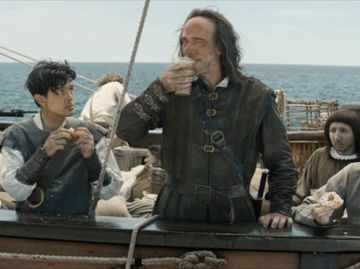 Then, Dunkin’ Donuts’ coffee beans are blended according to our top secret recipe from different origins as to enhance the complexity and flavor. As mentioned, the roasting results in the familiar rich, mocha-colored hue. Next comes the fun part – taste testing. Only, at Dunkin’ Donuts we refer to this as a, “full sensory evaluation,” or for short, “cupping.” You might not know this, but our coffee experts taste an average of 200 cups of coffee per day to ensure that our coffee meets our high quality DDQ standards. 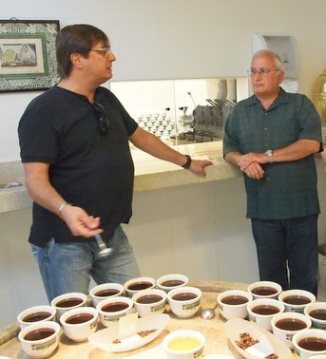 It was fun to participate in this cupping session while in Brazil as a group, so we could compare and contrast the different flavors, aromas, and body of coffee from a variety of Brazilian coffees. Gearing up for our Cupping session. The last, but certainly not least, part of the tree to cup process is one that Dunkin’ Donuts guests are very familiar with – brewing the coffee you enjoy in our restaurants. Every detail of the coffee brewing process is carefully orchestrated. 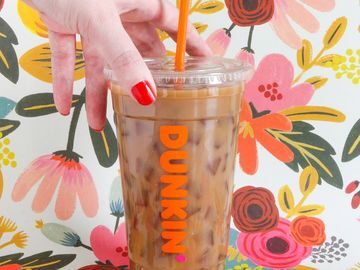 Everything from the temperature, to the amount of water used, the coarseness of the coffee grounds and length of time the coffee is brewed all ensure that our guests get the same great cup of coffee they rely on each time they visit Dunkin’ Donuts. To conclude, I had a great time in Brazil. Whenever I have the opportunity to travel with our coffee excellence team to an origin country, I learn something new and have a greater appreciation of the rigorous process and high DDQ standards our team has implemented. I also cherished spending time with many wonderful people in Brazil, from the coffee farm, to the wet and dry mills, the coffee lab, and more. Similar to a fine wine, there is an art to achieving the perfect cup of coffee and I hope you’ve enjoyed learning more about the process. National Coffee Day is on Saturday, September 29 and participating U.S. Dunkin’ Donuts restaurants are celebrating by offering a $5.99 pound of coffee (+ appl. tax) from 9/29/12-9/30/12. 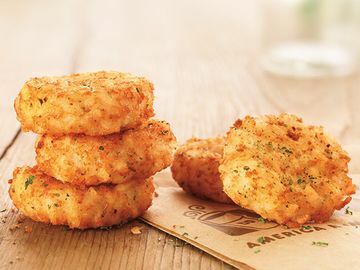 Limit two per guest, while supplies last. I hope you’ll join us in celebrating National Coffee Day with a freshly brewed cup of Dunkin’ Donuts Coffee!